This blaze was the third worst fire in the city's history up to that time. The Dairyland restaurant was located at W. 5th & Market Street. 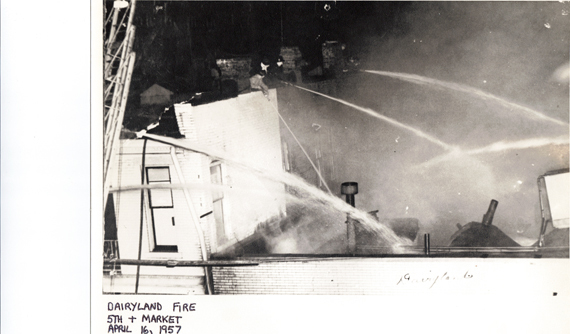 The fire occurred April 16th, 1957 and caused nearly $200,000 in damage. 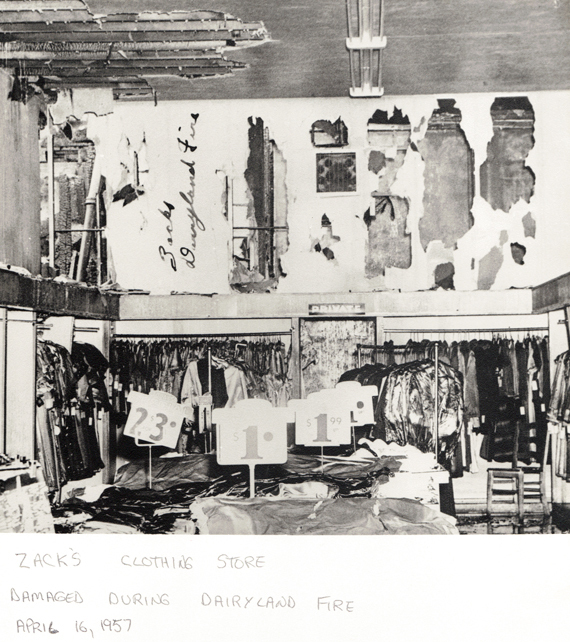 The blaze extended to two other stores before being brought under control. The other businesses were Zach's and Arlene's, both women's apparel shops. . . Over 100 firefighters from nine departments fought this fire. Five firefighters were injured and taken to the hospital.